As much as I appreciate wine (a.k.a. my saviour during crunch), my not-so-secret love is beer. As it so happens, German brewing techniques, combined with plentiful natural water sources, and growing number of microbreweries throughout the country make Brazil a great place to explore beer. The must-try beer in Brazil is chopp. Often compared to draught beer found in other parts of the world, Brazilian chopp is a lightly carbonated, very smooth beer, with perfectly creamy foam. Since chopp is unpasteurized and produced without any preservatives, it has a very short shelf life and must be consumed immediately after opening a barrel. Because of this, it cannot be exported, and it is virtually impossible to find true Brazilian chopp outside of Brazil. 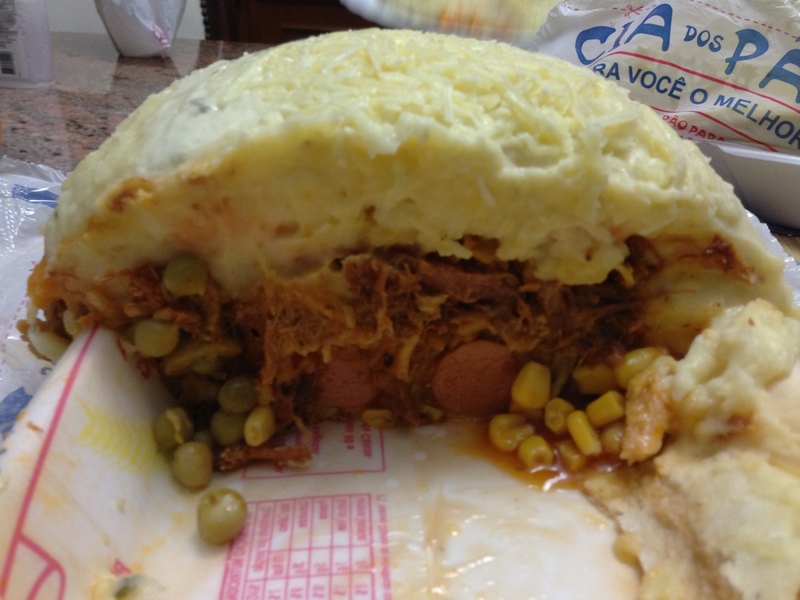 This is what a hot dog looks like in Brazil. Correction: this is only HALF a hot dog. 1.5 kg (3.3 lbs.) of mashed potatoes, corn, three types of cheese, chicken, pulled pork, peas, olives, onions, tomato sauce, potato chips, sausage, mayo, ketchup, and mustard. Oh, and of course, hot dogs and the bun. This year’s trip to Brazil was more of a family visit rather than a sightseeing one. The only touristy activity I was determined to do was to spend several days at the beach. I first had the chance to visit Ilhabela three years ago, and it immediately became one of my favourite places in the world. An island town off the coast of the state of São Paulo, the only way to reach it is by taking a ferry from the nearby town of São Sebastião, as there are no roads or bridges that connect it to continental Brazil. 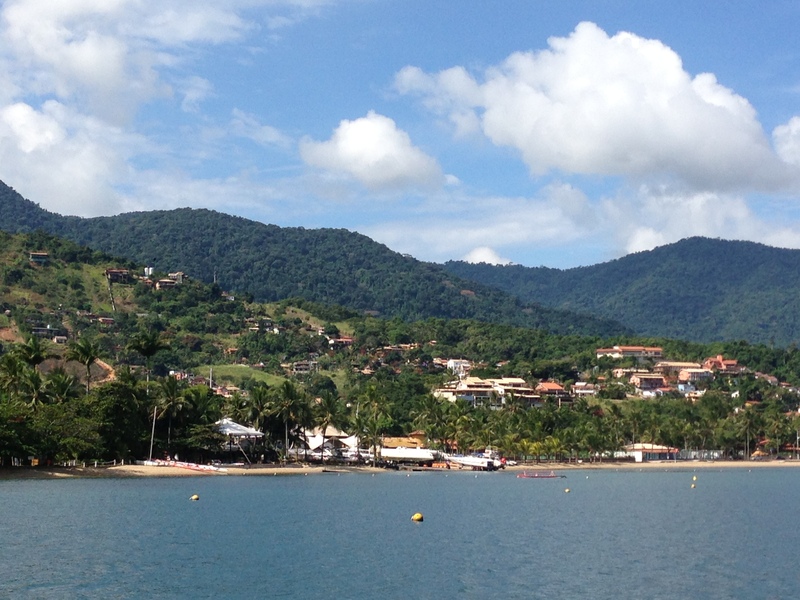 View from the balsa en route to Ilhabela. Growing up, my concept of a beach was the rocky sands and ice-cold waters of English Bay, so for me, Ilhabela — with its 41 tropical beaches — is nothing short of paradise.